Here’s one of those properties that fall into the category of “I’d buy it if I had the cash“. And to be honest there aren’t many of those. If you have money sitting in the bank earning zero interest. Then this is worth considering. This is a two bedroom house owned by a French couple I’ve known for 10 years. The house is built on 440Sqm land ( 34m x 13m ) with frontage onto a small river estuary. 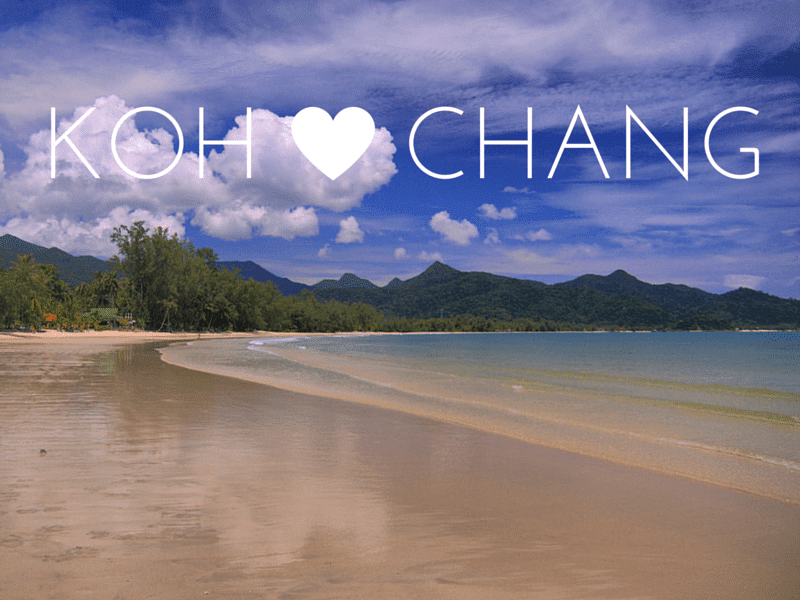 It is under 200 metres walk to the south end of Klong Prao beach . Likewise the village is only 300 metres walk away. 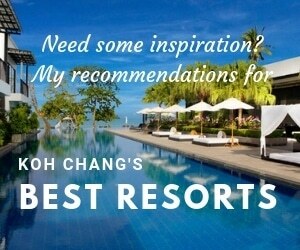 There are several luxury resorts less than 5 minutes walk away and also various beach restaurants. The house is built in a tropical garden ( palm trees , banana trees, orchids etc ) and looks like a hidden paradise when arriving from the road. The house has 170Sqm of living space which includes the downstairs living area / kitchen; bathroom, storeroom; small guest bedroom; 60Sqm covered deck over the water and 30Sqm upstairs bedroom. The owners originally used the spacious deck as an area to practice yoga and each small yoga classes. It was the perfect, peaceful location and got rave reviews until they stopped running the classes in 2013. Electricity is from the main government supply. Water is from the landlord, who own the small resort adjacent. This is 300 Baht / month. Fiber optic internet is connected. cable TV would be easy to connect if required. There is a small covered parking area for a couple of scooters. The house also has it’s own generator in case of blackouts – which are rare but can be useful in the rainy season. Among the lease agreement clauses , two are very important. One allows for free and permanent access to the property and the other allows the Lessee, the right to assign their rights and obligations under the terms of the land lease to any other person. i.e. they can transfer the lease to someone easily. There is no provision for extending the lease. But this is something that could be negotiated at a future point with the local landlord. This is also the reason why the asking price is low. Think of it as a guaranteed 20 year rental of a beautiful home. Why I like it . . . As I mentioned at the top of the page, this is a place I’d buy if I could. I’d use it as a rental property and I’d be confident of filling it for well over 6 months a year. With a minimum rental of EUR100 / night. It would be the only rental property on the island within a 2 minute walk of a great beach and plenty of shops and restaurants. Plus the owners have done a great job making it into a lovely hideaway, so there’s no work to do on the house or garden. Rental properties are getting far more popular now. However, it’s rare to find one close to the main west coast beaches and in a quiet, scenic location. Most are in a large housing development at the north of the island or on the east coast. 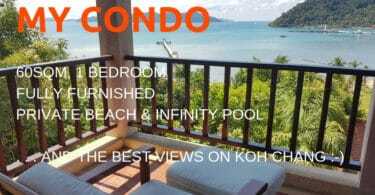 The only other similar place on the island is a holiday home that we manage, also in Klong Prao, but a 100 metre kayak paddle to the beach, rather than 100 metre walk.